After a year offering Shigidi off store and having experienced great results and feedback from those installing this amazing force in their temple, home or workspace we have decided to offer this product permanently at Sacred Alchemy Store. Protection of one’s ambient, home and sphere is always important – and amongst the most powerful tools available is the Shigidi. Shigidi is a supernatural force, a composite of powers that utilizes the ase of Esu at its most fierce and hot, hence turning this into a power of aggressive guardianship drawing in the essence of large felines, predatory birds and your own warrior ancestors bound in the ase of Esu for the sake of radical protection. 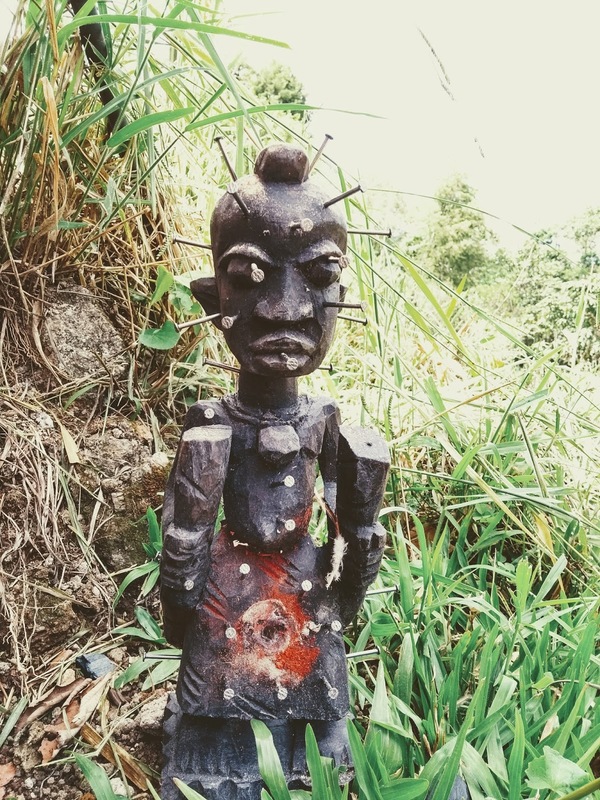 Shigidi represents a similar mystery as found in the Congos, commonly known as Nkisi Nkondi, which is a variation of the Yoruba Shigidi, similar in the protective and restraining powers it holds. Since Shigidi is ultimately resorting to the use of your own ancestors, this is a protective spirit that can be owned by anyone and do not demand initiation. However, those who are initiated will have a deeper bond with the orisa component of this powerful force and elements of the head orisa of the owner can be brought in to make part of the force of Shigidi during its gestation and construction. Shigidi acts as a natural guardian of one’s house and home by singling out people who enter with bad intent and can simply expel these people from your dwelling, give you notice in visions, sensations or dreams, stalk the evil intended person in dreams or arrange for fatal accidents to take place. 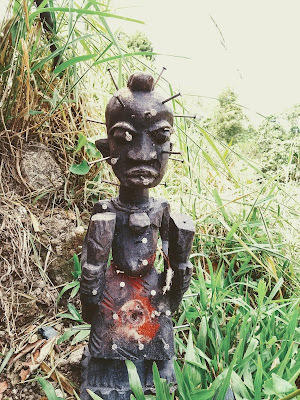 The Shigidi is embedded in wooden images, as shown in the photo.